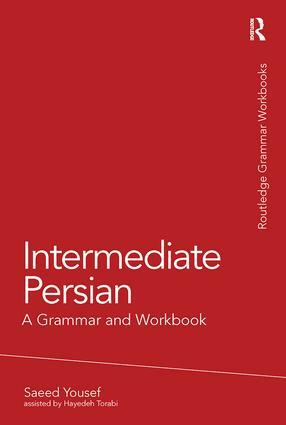 Intermediate Persian: A Grammar and Workbook comprises an accessible grammar and related exercises in a single volume. Each of the fourteen units deals with a particular grammatical point and provides associated exercises to help learners reinforce and consolidate their knowledge.There are additionally four appendices covering colloquial, polite, literary and journalistic styles. Intermediate Persian reviews many of the principle elements presented in its sister volume, Basic Persian, and introduces more advanced features and structures of the language. The two books form a compendium of the essentials of Persian grammar. User-friendly and engaging, Intermediate Persian is suitable for both class use and independent study, making it an ideal grammar reference and practice resource for students and learners with some knowledge of the language. Causative form Optative mood Past participle as verb Deleting a similar verb Regulars on the march!